The first section of the Metropolitan District Railway, to give it its full original title, opened between Gloucester Road and Westminster on Christmas Eve 1868, services having been started by the Metropolitan between Praed Street Paddington and Gloucester Road two months earlier. It has since grown to be the line with the most stations on the London Underground network. Among its other claims to fame, it pioneered trials on the network of automatic train operation, automatic ticket collection with barriers, one-man operation (on a long-closed shuttle service between Acton Town and South Acton), the use of automatic signalling, trains built with lightweight aluminium alloy and the four-rail traction system that is still used today. 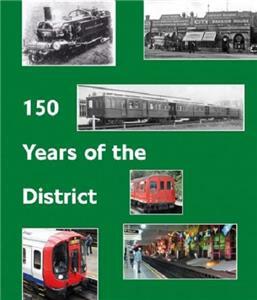 This book covers subjects related to the first 150 years of the line with chapters by top authors on Underground history.